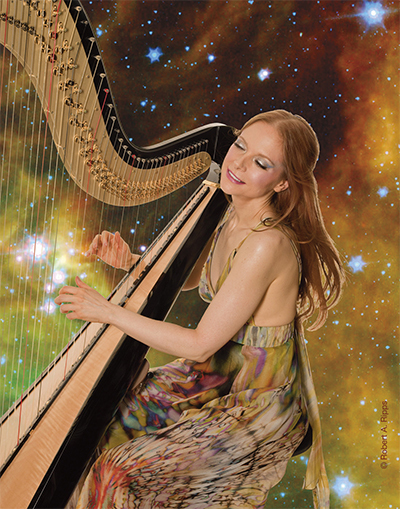 Singing harpist Erin Hill returns to Dragon Con this year with V’ger (her electric harp). She’s known as Dave Chappelle’s “Pretty White Girl” from Comedy Central’s Chappelle’s Show, and was featured by HBO playing the Game of Thrones theme on her harp for a Season 3 promo. She’s played and sung with Enya, Kanye West, a-ha, Cyndi Lauper, moby, Sinead O’Connor, Jewel, and for two First Ladies. Erin's Celtic album hit #1 on the Billboard world chart and Cleopatra Records recently released 3 albums: Harp Town, Christmas Harp, and a re-release of Girl Inventor, which includes her hits “Giant Mushrooms” and “Lookout, Science."